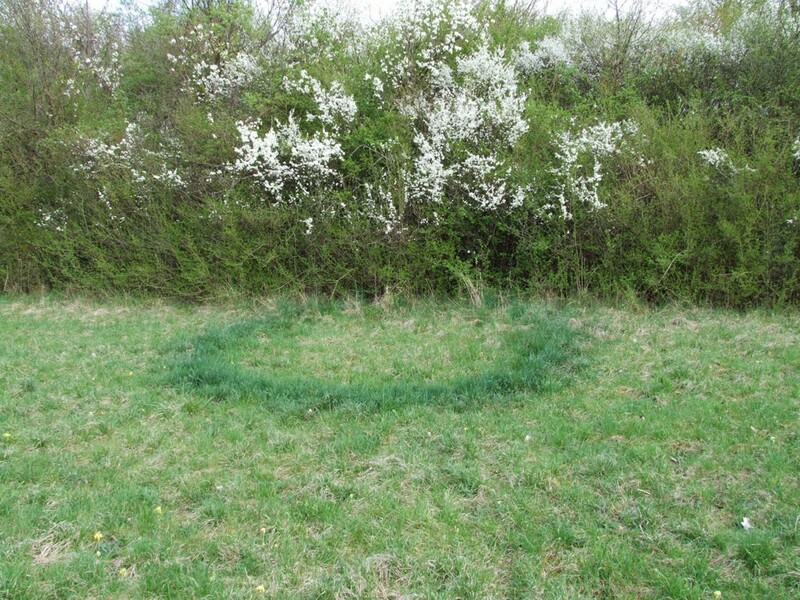 Fairy rings typically appear as rings of dark green and fast-growing turf. They may also appear as rings of slow-growing or killed turf. The bands of affected turf are from 100-300mm in width, forming more or less continuous rings ranging from 1-60m across. In some instances, the center of a stimulated band may contain weakened or dead grass, or bands may have an inner zone of stimulated grass edged with dead or stunted turf on either side. 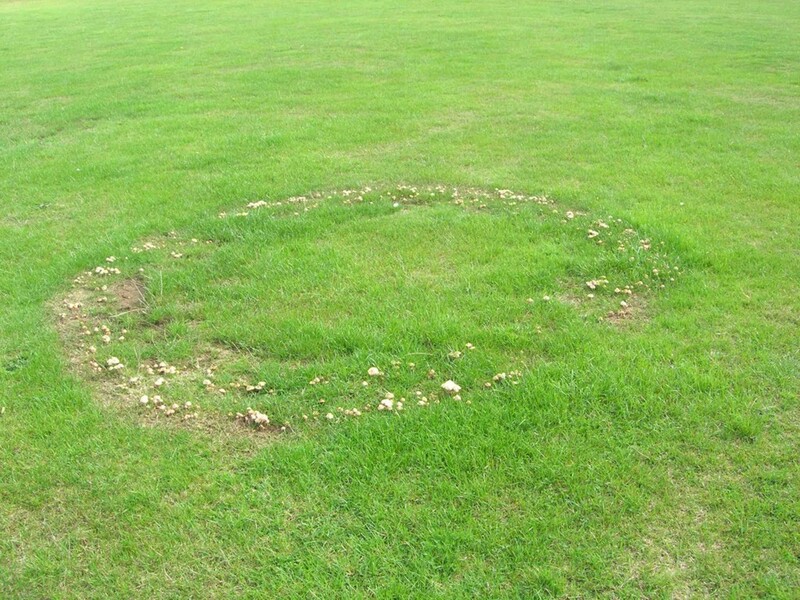 The first visible evidence of a new fairy ring is usually a cluster of mushrooms or toadstools. They usually appear at the outer edge of rings in late summer or early fall, during periods of high soil moisture. 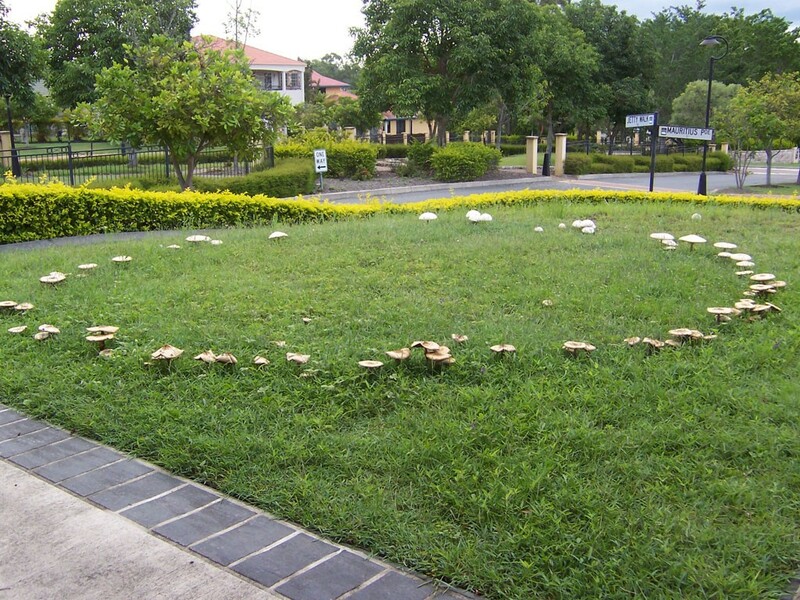 Fairy rings are produced by colonies of mushroom fungi that live in soil and thatch. These colonies obtain food from decaying organic matter and grow outward radially, increasing in size year after year. The ring of stimulated grass is thought to be caused by nitrogen substances produced by the breakdown of organic matter by the fungi. The fungi usually do not attack grass, but sometimes they repel water, resulting in death of the turf due to drought. The causal fungi are spread when fungal threads, bits of mushrooms, or spores from the mushrooms are introduced into soil under a turf area. Try to maintain a sufficient growth rate of the grass. 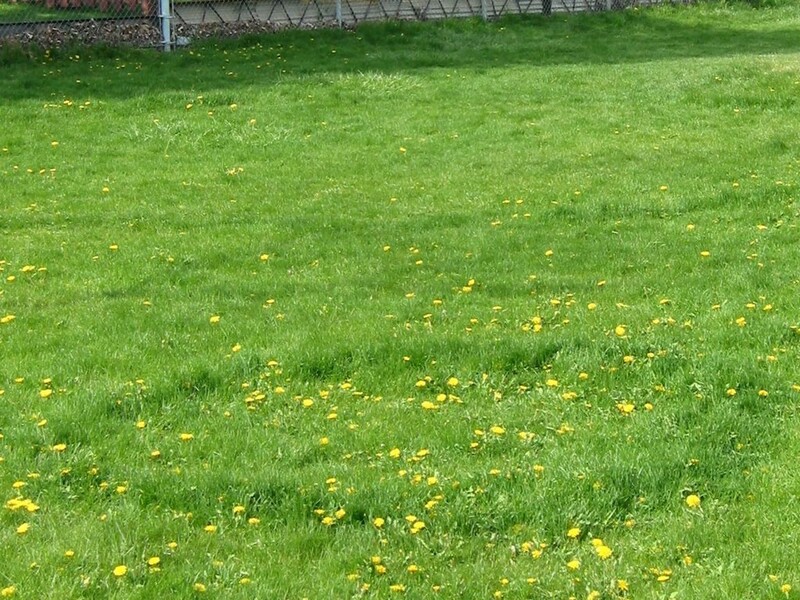 Mow frequently to minimize the differences in grass vigor between the ring and the rest of the lawn. At times, large areas may be killed by fairy rings. When the grass is killed, it may be possible to remove the sod and the top 150mm of soil and then reseed or resod. However, this practice does not always work. Sometimes nothing, not even weeds, will grow in areas killed by fairy rings. Attempts to control fairy rings with fungicide drenches or soil fumigation have met with little or no success.